Aluminum containers should be washed out before they are put in the recycling. Food traces contaminate the recycling process. 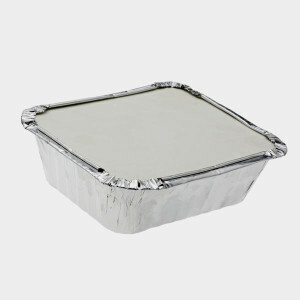 If the aluminum tray covers are clean, recycle them with other cardboard. Avoid throwing out an aluminum container after just one use. Try washing and then reusing it.